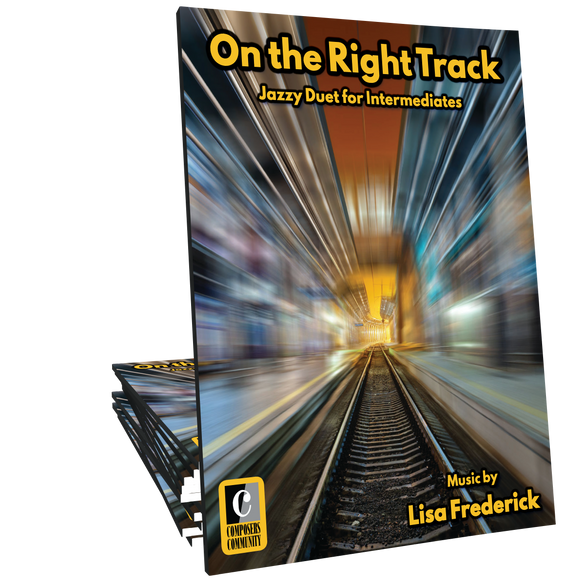 On the Right Track, by Canadian composer Lisa Frederick, is a fast, jazzy showcase duet full of energy and style. This duet is perfect for sibling pairs as the primo is slightly easier than the secondo part. 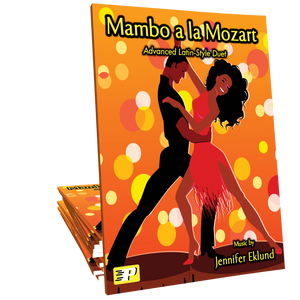 Lisa does it again with an incredibly fun piece that has a wonderful melody that you will be humming long after the practice session is over. Perfect get-up-in-the-morning-and-have-a-great-day music! !